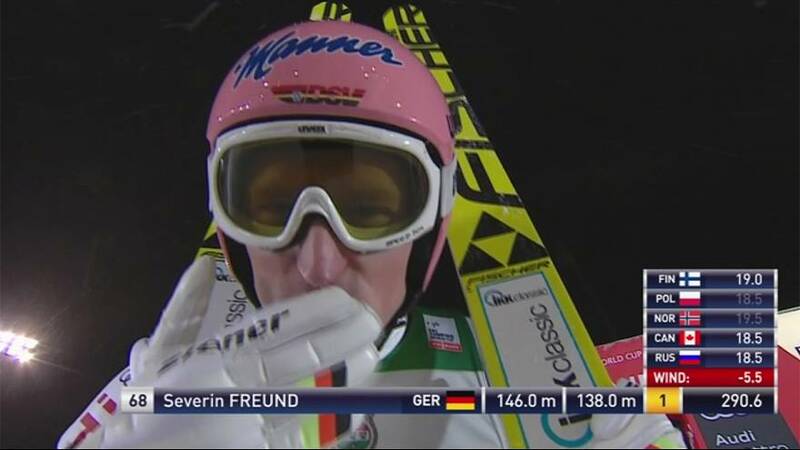 Germany’s Severin Freund returned to the winners circle for the first time in almost a year after success in the second event of the World Cup Ski jumping season in Ruka, Finland. Freund was hunting his first success since victory in Oberstdorf on 29 December 2015, during the Four Hills Tournament. He came second in the season-opener in Ruka on Friday and upgraded that result with a win in the second of the double-header at the same venue. The 2015 overall world cup champion produced leaps of 146 and 138 metres to celebrate his 22 individual world cup triumph with a winning points total of 290.6. He finished ahead of Norway’s Daniel Andre Tande who recovered from a fourteenth place finish the day before to claim second. The 22-year old produced two fine jumps of 131.5 and 139 metres for a total of 279 points, but it wasn’t good enough to secure him a second career victory. Rounding out the Ruka podium was Manuel Fettner with 273.3 points. The veteran Austrian was fourth in the season’s first stop on Friday but he took third on Saturday with jumps of 136 and 133.5 metres. It was his joint best individual World Cup finish after also taking third in Oberstdorf six years ago.